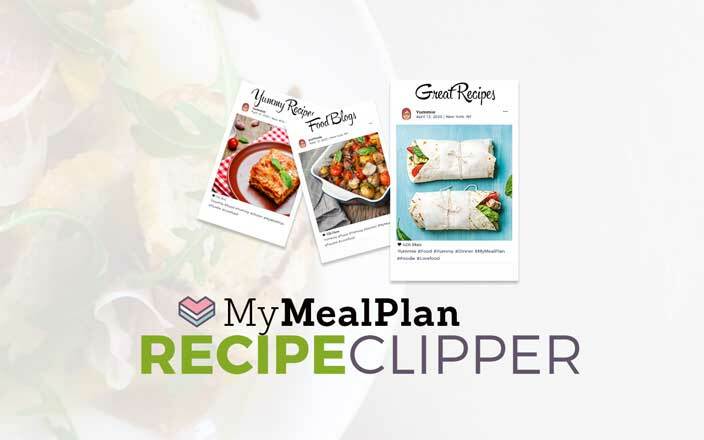 My Recipe Clipper is a feature of the My Meal Plan which allows you to add Recipes you found on other blogs, websites, and other platforms to the existing Recipes available in the Recipe Box. The Recipe Clipper is a Chrome Extension which needs to be installed in the Chrome Browser before the adding of Recipes from other platforms can be activated. To use the Recipe Clipper, click on the three-bar icon at the top right corner of the My Meal Plan page for a drop-down menu. Locate Recipe Clipper and click on it to activate the feature.